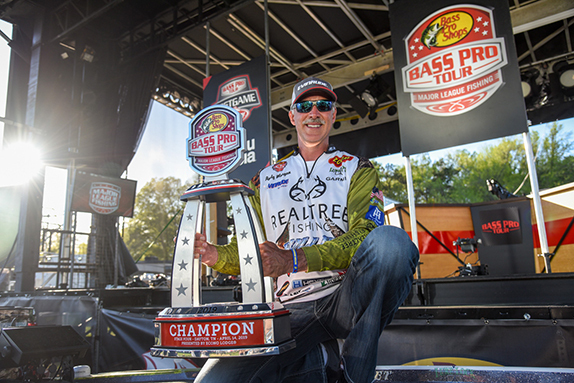 David Williams flourished in his first season on the FLW Tour following three years as a Bassmaster Elite Series pro. 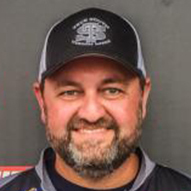 David Williams says it was difficult coming to the realization that he wouldn’t be invited back to the Bassmaster Elite Series in 2018. The way the re-qualification process works, his average finish in the Angler of the Year points over his three-year career (71.67) put him on the wrong side of the cut line. He wasn’t sure what his future held in terms of competitive bass fishing, but when an opportunity to join the FLW Tour came about, he jumped on it. It’s fair to say he has made the most of it. 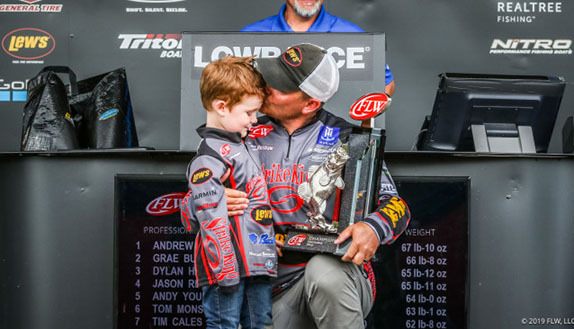 After finishing 61st or lower in the AOY standings three straight years on the Elite Series, Williams wound up 7th in his first year on the FLW Tour, highlighted by a win at Smith Lake and four other top-35 finishes along the way. At the same time, that second chance has served as a big motivator for Williams, who lives in Maiden, N.C. Prior to qualifying for the Elite Series – he won the AOY title in the Southern Opens division in 2014 – Williams didn’t have a wealth of experience in multi-day tournaments. He learned, mostly on the fly, how to divide up his time in practice and manage productive areas to last more than one day. Through the series of ups and downs over the past three years, he learned the importance of the mental side of the sport and that’s helped guide him through a successful transition to the FLW Tour. That wasn’t always easy, he said. At each of the last three tournaments of 2017, Williams missed the money cut by 1-14 or less. He weighed in a limit on all but two of the 19 days he competed and averaged just over 13 pounds per day. Williams is at his best at lakes where docks are prevalent and where spotted bass mix with largemouth. That’s why he knew the 2018 FLW Tour schedule would be up his alley. There have been other aspects of FLW’s operation that seem to click with him, too. “The biggest thing I like is the day off,” he said. “When I was fishing B.A.S.S., I felt so rushed. You go straight from practice to the (registration) meeting and you’re worn out on day 1. With FLW, you get three full days of practice, then you can sleep half a day if you want to and just relax. You feel like a new man. (That off day) allows you to work on boat issues, rig tackle and get organized. If also gives the fish a day to rest and time to regroup and it makes a big difference. He’d been to all of the venues on the schedule except for the Harris Chain of Lakes, so he came into the season with familiarity, if not a fair amount of confidence at certain stops. “FLW seems to fish a lot more on the eastern half of the country on lakes with docks and that’s what I’m comfortable with,” he said. “Going to Smith and Lanier and they’ve been to Hartwell and Norman – those are places that set up with what I’m comfortable with. 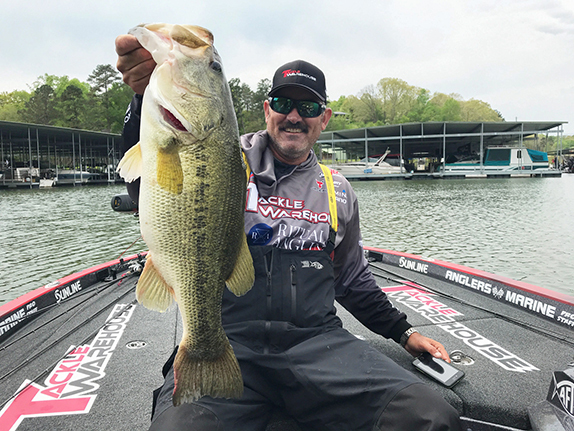 After coming out of the gates with three top-35 finishes, including an 8th at Lanier, he stumbled (94th) at Lake Cumberland before seizing upon the opportunity at Smith Lake, where he averaged 16-plus pounds per day to claim his first top-level victory. Asked what it means to see his name toward the top of the AOY standings this season, Williams quickly points to his two mediocre finishes (94th at Lake Cumberland and 96th at Kentucky Lake) as reasons why he didn’t finish higher or perhaps win the AOY title. “In my mind, I think I should be there,” he said. “If you don’t think you should be there, you probably shouldn’t be competing. I’ll be disappointed if I’m not there. 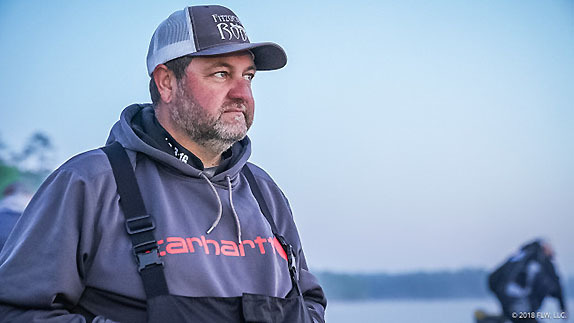 After closing the season with a 15th-place showing at Lake St. Clair, his sights have shifted to Lake Ouachita in the mountains of central Arkansas. That’s where he’ll get his first shot at one of the sport’s marquee events – the Forrest Wood Cup. He’s not been there, but he’s going with a positive mindset and a 1-in-56 shot. “I think it’ll be good from what I’ve read about it,” he said. “I fished my first (BFL) All-American at (Lake) Hamilton, but I know Ouachita is a little different. From what I’ve seen, it sets up like Kerr Reservoir, so I think it’ll be up my alley with fish shallow or deep. I’m going to try to find them deep if I can. None – "If you're fishing they're all good." "I just love being in the outdoors and love the challenge and competition."